This concise, accessible introduction to the essentials of anesthesia is suitable for medical students and junior doctors as well as operating room staff. 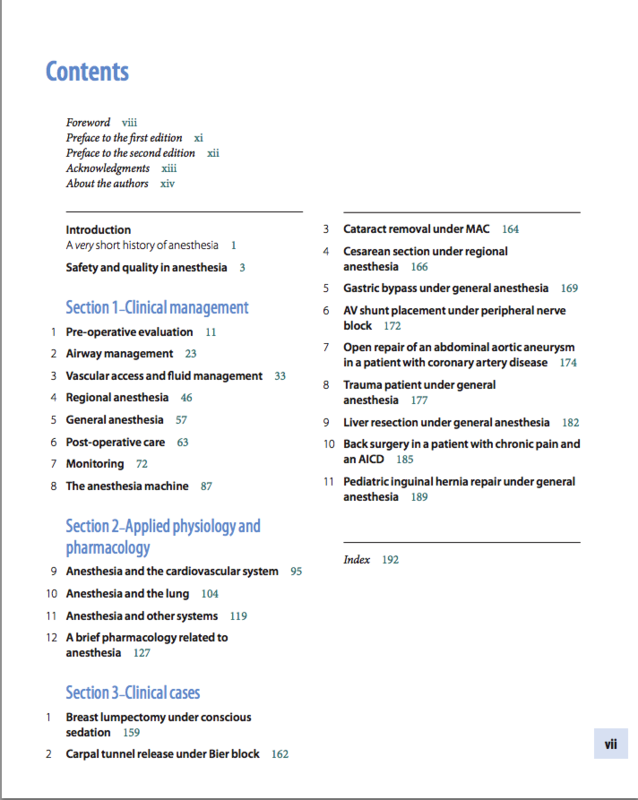 Now in its second edition, it provides a thorough overview of the science and practice of anesthesia. Part I describes the evaluation of the patient, the different approaches to anesthesia, and the post-operative care of the patient in pain. Part II introduces the essentials of physiology and pharmacology and their role in understanding the principles of anesthesia. The final part presents a step-by-step description of 14 clinical cases. These clinical vignettes give a very real introduction to the practicalities of anesthesia and will give the non-anesthetist physician an idea of how to prepare a patient for a surgical procedure. All chapters have been expanded and updated and an entirely new chapter on safety in healthcare has been added. This is the perfect introductory text for medical students, junior doctors and all operating theatre and critical care staff.